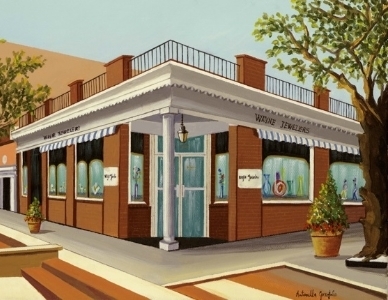 Privately-owned jeweler on the Main Line for over sixty years. The quaint town spirit of Wayne, Pennsylvania is very much alive at Wayne Jewelers. The elegance and intimacy of our historic Lancaster Avenue location exudes the warmth of our devoted staff and the relationship we have with our loyal patrons. Our mission is to continue the proud tradition of excellence. Wayne Jewelers provides our customers with the finest quality jewelry, gifts and service – without pressure or compromise. We remain constant in our dedication to the town of Wayne as we serve the community and its residents with respect and pride. As members of the American Gem Society, our title assures you that you are working with a knowledgeable and ethical business at Wayne Jewelers. Radnor Educational Foundation – To secure and provide funding and support to enrich the educational experience, maintain academic excellence and encourage innovative opportunities for the students of the Radnor Township School District.